It is no secret that I love my craft supplies. As my collection starts to grow, some things get a bit hard to sort through. I caught myself buying paints I already had because I couldn’t see all my colors. I had my stash thrown into one of the cubbies in my craft room, which was just not the most organized way. Enter the lazy susan. I bought two of these at Target for under $6 bucks. 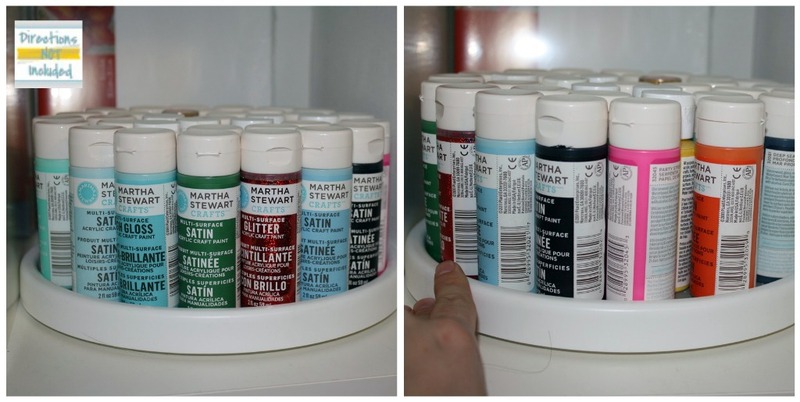 Filled them up with my paints and now they are easier to sort through when I give them a spin. I have to give credit, where credit is due. This was the husband’s idea. I was complaining as I was trying to find a paint color and he suggested I look into getting a spice rack of some sort. Brilliant! Of course, after I agreed with him he asked if he was going to get credit for the idea on the blog. So blogland, this was all his idea. Thanks, babe! The spice racks I saw were too pricey so I ended up with these lazy susans instead. 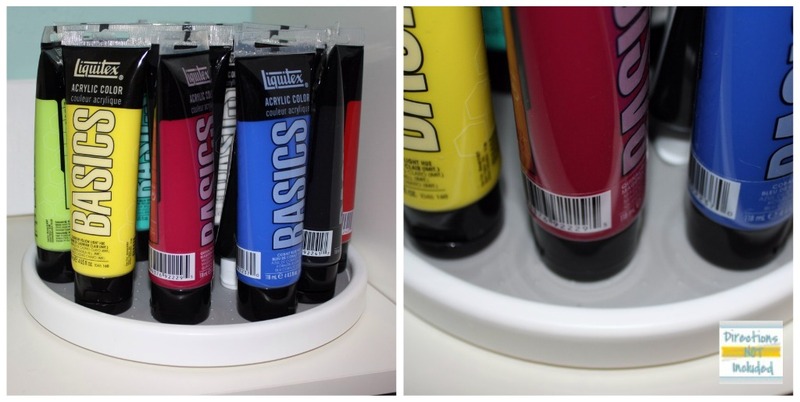 They have a gray plastic grip surface on the bottom which helps grab the items and prevent them from slipping. I think they are perfect solution for the space and purpose. Any organization tips to share for your tools or craft supplies? Are you someone that likes to have things on display so you can see them or hidden away in drawers? i love the lazy susan idea! my paint is all in the top of a dry sink so it is contained, but i can still see all the colors… so far that is working for me! Cute idea!! I need to figure out a way to get organized. I have paint everywhere! What a genius idea! Being able to spin them must make all the difference. Great idea! I keep all mine in a box, so they can be really hard to find. Great idea! 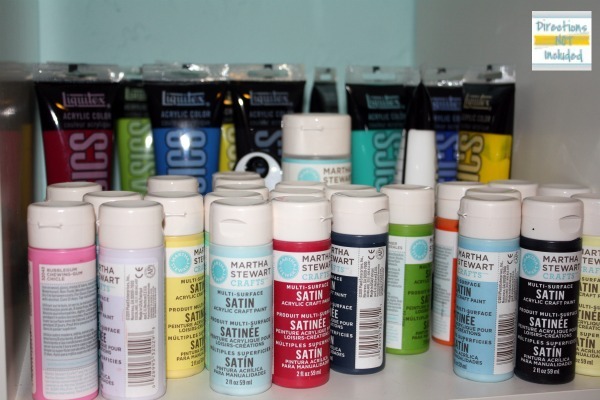 Looking at those lazy susans of paint just made me really happy! I love paint! That is such a great idea! Mine are all thrown in a grocery bag. It is shameful.